Casa Giuseppe proudly specializes in the sun-drenched cuisine of Italy (home of the owner), which has some of the most intensely flavored and deftly prepared dishes in the world. Our cuisine is based on only the finest seasonal produce, fresh-never-frozen-seafood, and authentic oils and cheeses. 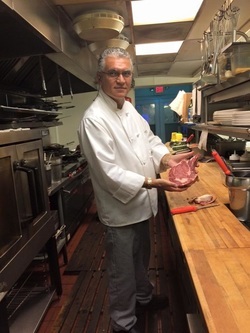 Our traditional Italian cuisine is the result of years of training and dedication. The chef prepares each dish individually to order to ensure freshness and quality.